At Jack of All Trades by George, we pride ourselves in providing you with a food truck that uniquely captures your company's brand. We specialize in Complete Food Truck Builds, Food Truck Modifications, and Food Truck Service/Repair. We Build to Your Specifications! As your business grows, so does your need for space. At Jack of All Trades by George, we can upgrade and modify your food truck to meet your needs and specifications. 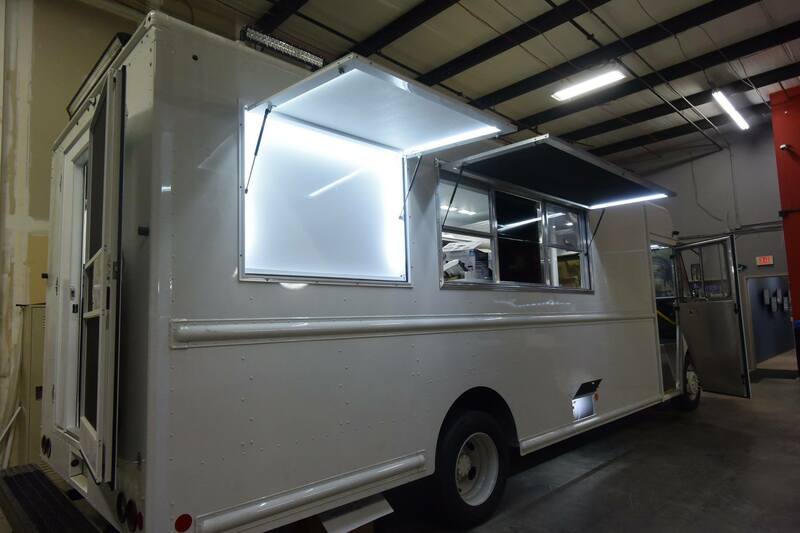 We also provide modifications such as LED Lighting, flat screen TVs, & outside audio systems to attract customers to your food truck. 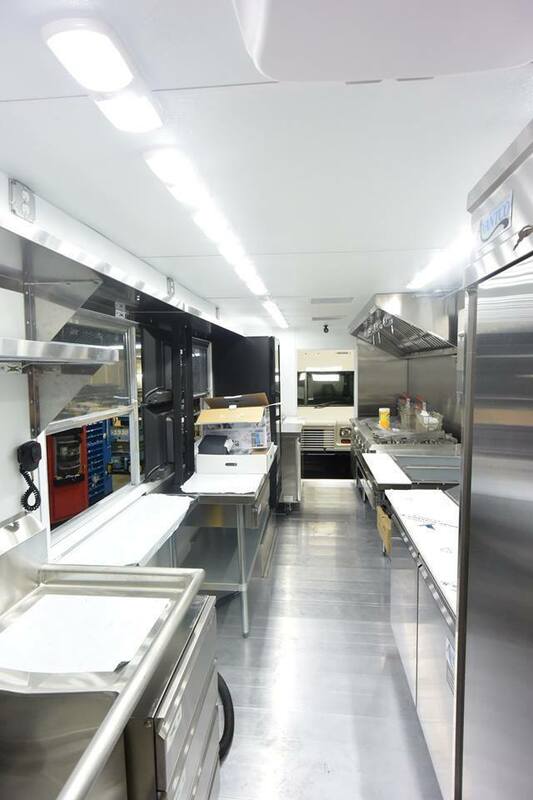 Our team is ready to help you with your food truck modification needs. What are you waiting for? Contact our team today to get started! We understand that keeping your truck running is what allows you to keep your business running. That's why we provide maintenance service/repair services ultimately lower your operating costs through regular maintenance. No matter the problem, we can help you fix it! 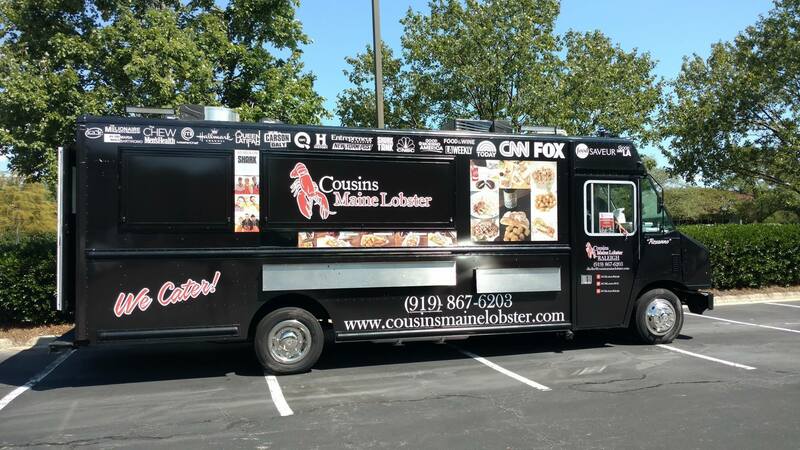 Contact our team for your food truck service and repair needs! We want to meet you! During this time, tell us about your project. What is your vision for your build? We create a budget. We know you have worked hard for your money, that's why we work hard to stay within your budget. Our team works with you to design your graphic and specifications for your build to be the right requirements for you. We schedule your build and get to work! We build your project to meet the design specifications. Over the past five years, Jack of all Trades by George has emerged as one of North Carolina’s most trusted go to companies for providing Food Truck, Concession Trailer, Camper, and RV services. Proudly Serving All of North Carolina and the Entire United States. Copyright ©2019 Jack of all trades by George. All Rights Reserved.